What Is A Smoker and Do I Still Need One If I Already Have A Grill? While smoking and grilling are closely related, they are not the same. Grilling is a process that involves exposing the ingredients to high radiant temperature. The point of grilling is to create a crust on the outside of the steak, fish, or chicken in order to seal in moisture. For this, you would need a grill. You can’t use a traditional grill for smoking your meats, poultry, or fish. At best, if you insist on using a grill for smoking food, you can infuse some flavor onto the outside part of it. Smoked meats have a characteristic pinkish meat layer right underneath the crust. That layer is commonly known as the smoked or smoke ring. If you want to have that smoked ring, along with rich flavor all throughout the slab, plus tenderness that makes meat actually melt in your mouth, then you really need a smoker. A smoker is a cooking appliance, often designed to be placed outdoors, that can maintain low temperatures for a long period of time. It produces and holds smoke around the meat so that it can be absorbed by the food being cooked. There are many kinds of smokers presently in the market. There are gas, wood, pellet, and charcoal. However, for today, we will take a closer look at the electric smoker. 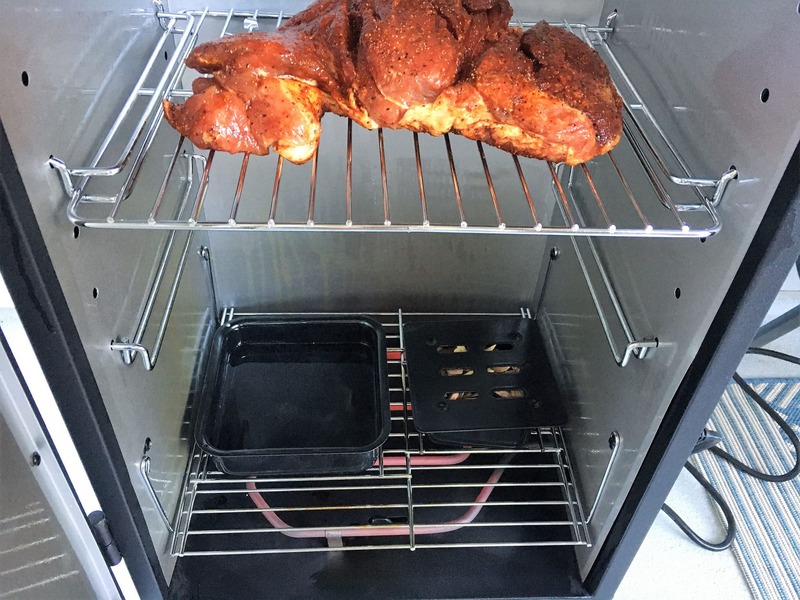 Here is a review of an electric smoker that really impressed us with its precise temperature control and a host of other features that make smoking convenient and fun. We are talking about the masterbuilt electric smoker.Lets have a closer look at the pros and cons of this product. Masterbuilt electric smokers are appliances that make smoking convenient, easy and pleasurable. 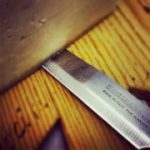 You no longer have to be on your toes to see if your meat is getting too much or not enough heat, or worry about getting your food undercooked or overcooked (which happens with most beginners). It lets you control time, temperature of meat, intensity of smoke, and a whole lot of other operations at the press of a “remote control button.” It takes all the guesswork out of smoking, and gives you perfectly cooked food, rich in flavour. Note that some models of the electric smoker do not come with a remote control while others are Bluetooth enabled. This means you can use any device that is Bluetooth-enabled to control the smoker. You’ll have to check with the seller to confirm if it is part of the model’s feature. The Masterbuilt Electric Smoker offers precise temperature control, and lets you control both meat temperature and cooking temperature. The large viewing window and the internal light lets you monitor the progress of cooking without necessarily having to open up the smoker door. 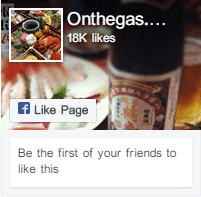 These features make it easy for beginners to follow the cooking instructions from recipes. Once you become more familiar with how the smoker works, you’ll learn hot to vary the temperature and cook time for different food items and cater them to your preference. Note, again, that these features are available only for some models. So, you can put your food in the smoker, set the time and temperature and get on with more important things (like drinking beer), without worrying about the food. Masterbuilt electric smokers are professional grade electric smokers, which are great for home use. If you love smoking (food) or want to impress your guests with some perfectly cooked and flavourful slow cooked food then this digital, electric smoker makes a good choice. All those people who love to host parties can bet on this appliance for smoking large quantities of food with utmost ease. It is a great investment for people who are short of time, and cannot keep a constant eye on the food. This electric smoker makes a good choice for both experts and novices alike, with the precise temperature control and digital settings, there is hardly a chance that you will go wrong. Let’s start by looking at the manufacturer. Masterbuilt Manufacturing LLC is known for their professional-grade grills, fryers, cookers, and smokers. They have been producing a variety of smokers that can be used by both professional chefs and passionate home-cookers since 1973. One of their beliefs is anything can be mastered as long as you are given the right tools. So, if smoking meats, fish and poultry is something that you want to master, you have to get a Masterbuilt electric smoker. Numerous customers talk about how easy it is to set up the Masterbuilt Electric Smokers. All you have to do is to find a place big enough for the cooking appliance, plug it in, season it, and get ready to start cooking. Remember that the appliance is not like your refrigerator. It needs a little more space around it as it will become hotter when you start smoking. A lot of customer feedbacks mention the smokers’ craftsmanship. They claim that the locking door seal is reliable and doesn’t let the heat and the smoke escape. There is also good insulation. These features are crucial for smoking food items because fluctuating heat can ruin your cook. It would be terribly disappointing if you are smoking a particularly expensive cut of meat and it turns tough because the temperature inside the smoker was too high. One feature that sets Masterbuilt smokers apart is their patented side loading system for wood chips. 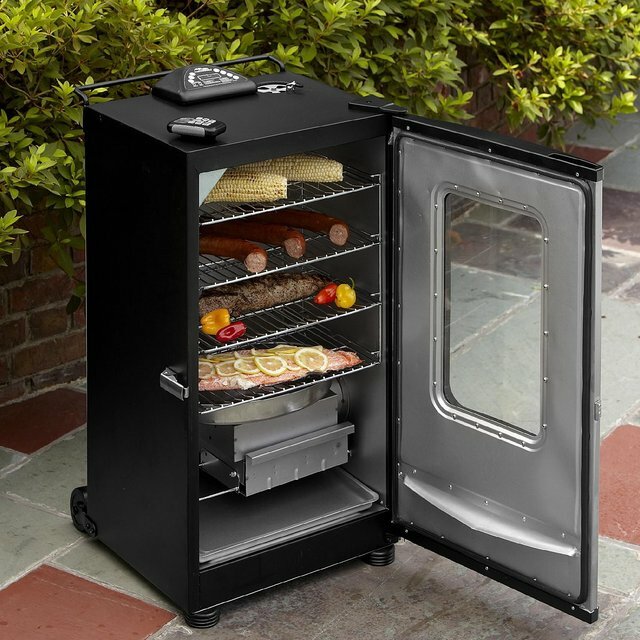 This feature allows one to add more wood chips without having to open the door of the smoker. This is important because when the door is opened, heat can escape extremely fast and getting the temperature back up could be difficult. Plus, if the door is left open for too long, the smouldering wood chips could be exposed to too much air and cause them to burst into flames. This will raise the temperature inside the smoker too high. You basically turned your smoker into a grill if this happens. Masterbuilt Electric Smokers come with features that can satisfy even the most demanding of users. The coolest feature of this smoker is the patented radio frequency remote control technology that lets you control and monitor temperature, time and other operations from a distance of up to 100 feet. Another important feature of this electric smoker is the precise temperature control it offers. The thermostat temperature control and built in meat probe thermometer lets you control the cooking temperature and keep track of the food temperature. This ensures that you get perfectly cooked food that is tender, juicy, tasteful, and has a great smoky flavour. It’s a bonus that the controls are easy to press. 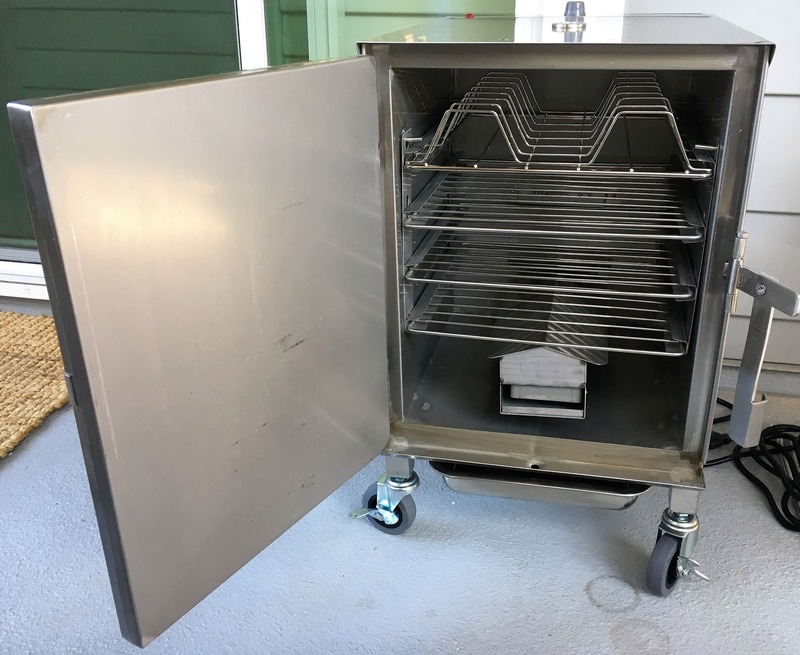 It comes with a front access drip tray and 4 large smoking racks, which offer 900 square inches of cooking space, allowing you to cook for large gatherings. The Masterbuilt Electric Smoker gives you the ability to cook at a wide range of temperatures- from 100 to 275 degrees Fahrenheit. The door of the smoker locks perfectly and has an inner liner, which ensures that the aroma stays intact and you get a perfect smoky flavour. With its capacity, the Masterbuilt Electric Smoker is perfect for people who love entertaining in their backyard. All you have to do is prepare sides and you can have your entire block for a smoked meat fest. The electric smoker is portable. It weighs around 72.2 pounds (36kgs), and measures 19.3 x 25.6 x 41.3 inches. Although it is a reasonably large sized appliance the built in wheels make it easy to manoeuvre and move around. People who are residing in areas where there is a fire ban can forget about using charcoal grills or smokers. Luckily, this is not a problem for those using electric smokers. Even for people who live in multi-level apartments and condominiums who have all given up on having barbeques will now have a chance to cook amazing ribs. As long as they have the space for the smoker, of course. Another plus for electric smokers is it doesn’t need charcoal to heat it. A hefty sack of charcoal will take up so much space in any person’s cooking area. Despite being all electric smokers, one noticeable difference between the various models of Masterbuilt are their electric smoker temp control. The 20070210 has an analog control dial. Both the 20071117 and the 20070411 have digital temperature control that are top-mounted. The last two models, 20077515 and 20072115, both have Blue LED for its digital control and those can be found at the top front part of the smoker. As mentioned before, if you are a novice smoker, this feature is perfect for you because you don’t have to do much guess work. You simply input the temperature and smoking time indicated in the recipe, then you can leave the meat there until it’s done. Although, some veteran smokers advise that, if you want to make sure your temperature is consistent, get a meat thermometer. By monitoring it, you can, manually adjust the temperature. You won’t be able to immediately start smoking meats, poultry, or fish as soon as the appliance gets delivered. You will have to season it first. Seasoning entails having to coat the insides of the smoker. Just grab a clean rag and pour cooking oil on it. Then, wipe the oil on the racks and interior of the smoker. Once it has been oiled, turn it on and allow it to run for approximately 2 to 3 hours. This is done in order to burn off any dust, solvent or other reside left inside the appliance. Switch the smoker off and leave the door open to let it cool off properly. Seasoning is a minor inconvenience for those raring to start their smoke on but it is necessary to ensure that the appliance is ready for the first cook. People living in condos or small apartments may not be able to fit this electric smoker into their homes because of the large size. Maximum temperature is 275 so if you need more heat you might want to consider another unit. Cleaning the glass window is a bit of a mission if you leave it a while and the catch pan on the bottom of the unit is quite shallow. There were a few complaints about the interior’s paint peeling or bubbling after only a few uses. Some customers think that the manufacturer did not use high quality, heat-resistant paint for the walls of the smoker. However, according to the sellers, bubbling of the paint can occur if the smoker hasn’t been cleaned properly before using. Oil residue on the interior walls can cause the paint to heat up. Another common complaint coming from people who have other smokers is that the wood chip tray on Masterbuilt electric smoker is smaller than usual. This means you’d have to keep on refilling the tray. When it comes to price, electric smokers are generally more affordable than other types of smokers. Normally, smokers go for about $100, but Masterbuilt smokers can cost between $200 to $268. Additionally, if the electric smoker breaks down and the warranty has already lapsed, the typical “backyard repairs” will not work on it. Electric smokers are more complex than charcoal smokers. Replacing and repairing its parts should be done by a professional. This tend to be very expensive. Masterbuilt electric smokers make a great choice for people who love smoked food, and want a convenient method of smoking food efficiently. At the time of writing this review, this electric smoker was available on Amazon at an amazing deal; grab it before it’s gone!